Since we’re on the flower theme… we want to give you flowers! We know that April 15th is one of those bad days on the calendar, but we want to do our best to cheer things up. 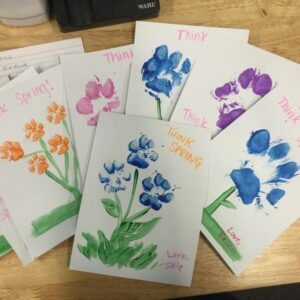 Every day camper on Friday, April 15th will bring home flowers! These are not the type you put into a fancy vase; flowers from Pet Camp are designed to put on your refrigerator or office wall, or maybe even your Facebook page! Sign your camper up for day camp on the 15th so you don’t miss out!